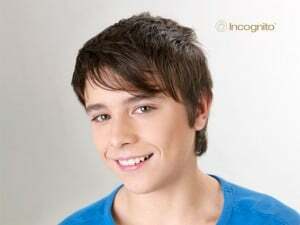 Incognito invisible braces also known as “iBraces” are a new generation of orthodontic braces for teens and adults. 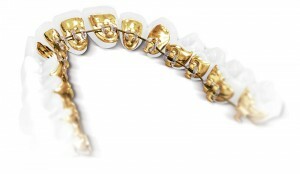 They are the only 100% customized bracket designed to work behind the teeth available on the market today. Because no two people are alike, no two sets of Incognito brackets are alike. Placed behind your teeth, no one will know that you are wearing braces unless you tell them. These unique braces are created using state-of-the-art technology and are 100% customized to the shape of your teeth and to your dental situation. 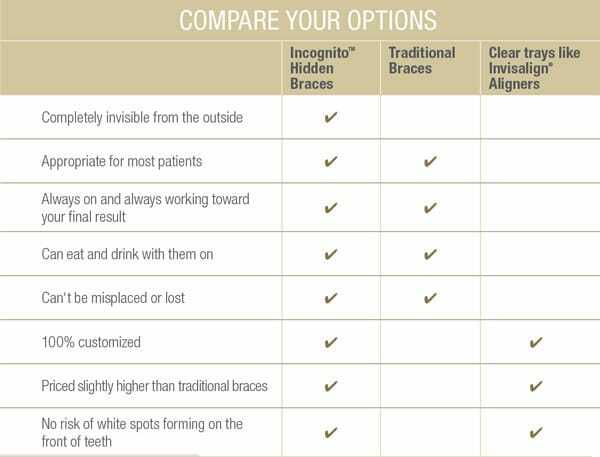 Incognito’s iBraces have the unique prescription that your orthodontist creates for you built-in to ensure you get the results that you want. With iBraces you get efficient, effective tooth movement and great aesthetics. These braces behind your teeth have been used to treat men and women ranging from the age of 13 to 60+. Most people who can be treated with regular braces can be treated with iBraces, but only your orthodontist can tell you if the incognito brackets are the right treatment option for you. Incognito provides the very best Aesthetics available today, the Incognito bracket is completely hidden from view. No one will know that you are wearing braces unless you want them to.